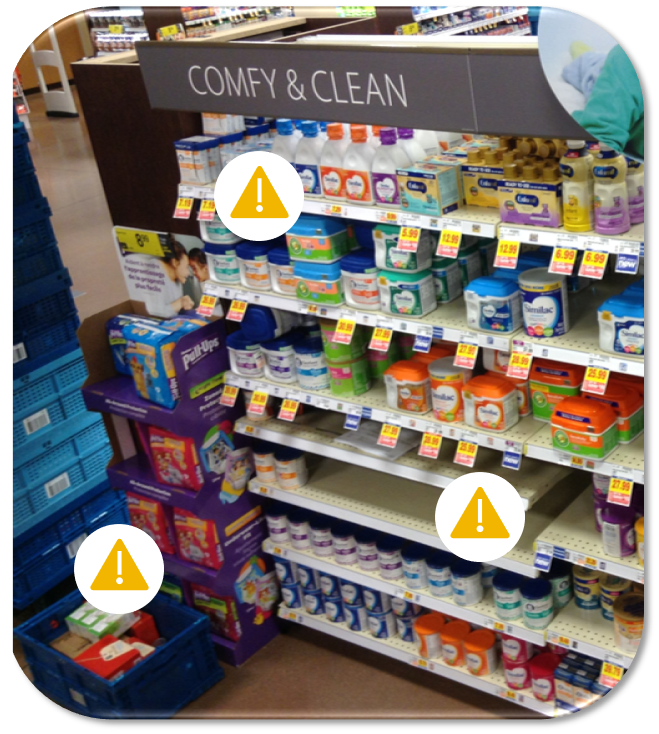 LEVERAGE EXISTING IN-STORE CAMERAS TO CAPTURE IMAGES USED TO ANALYZE THE QUALITY AND EFFECTIVENESS OF IN-STORE DISPLAYS FOR MERCHANDISING AND BRAND MANAGEMENT. Today's retail stores and restaurants utilize cameras primarily for loss prevention and security. What if these same cameras could help you to monitor and improve your merchandising performance? StoreLynk leverages your in-store cameras to capture images at regular intervals throughout the day to monitor shelf appearance, product stock and the consumer experience. StoreLynk gathers the images from your target areas of monitoring (shelves, displays, key conversion areas) and filters them through a defined analysis workflow. Throughout the day, our centralized team of analysts compares the gathered your images to the ideal, benchmark image. Problem areas are flagged, trends are identified and a corrective action report is generated. StoreLynk Merchandising enables insights into trends for your store, your customers and your promotions. Are shelves fully stocked at peak conversion times? Do key promotions have clear pricing & signage? Do top performing stores have cleaner appearances than lower performing stores? These are just some of the questions that can be answered with StoreLynk's Merchandising insights.